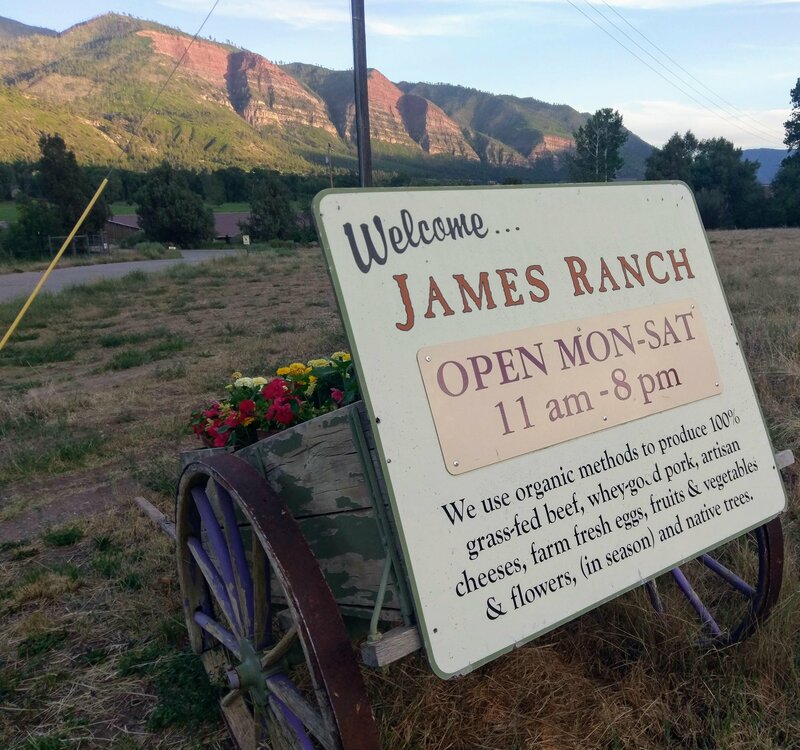 James Ranch is ten miles north of Durango, Colorado in the beautiful Animas River Valley. We offer 100% grass fed and finished beef, whey-fed pork, artisan cheese and raw milk from 100% grass-fed, grazing Jersey cows, eggs produced from pastured hens, a spruce tree nursery, an organic vegetable and flower garden, and a thriving grill and market. Busy families, who utilize organic growing practices, bustle in the day-to-day operation of the ranch and their enterprises.